This little fella (or gal) visited our bird bath a couple of weeks ago and I was able to snag his photo from our back porch. 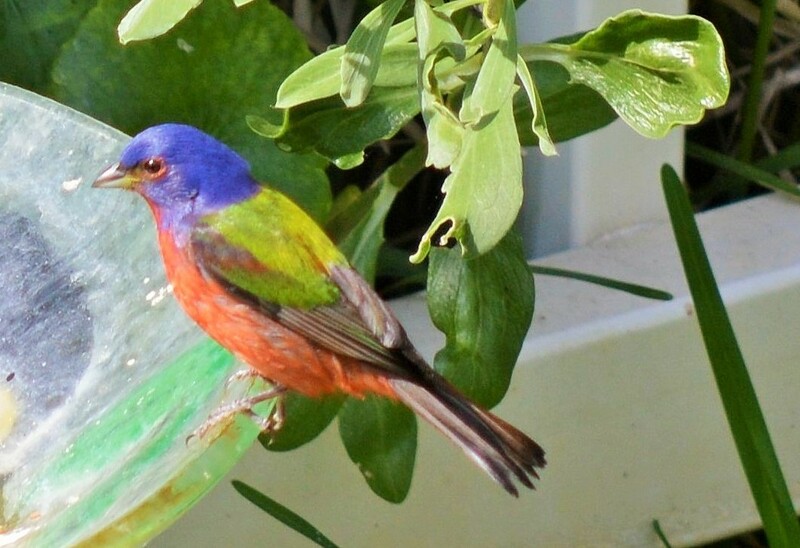 Painted Buntings are one of the more “vivid” birds in my life. Capturing his photo truly made my day. wow! The bird definitely looks painted.